We’re excited to be at a new and exciting phase in our company: we’re now developing mobile apps based on #TAXI’s massive database of taxi companies and highly sophisticated infrastructure. 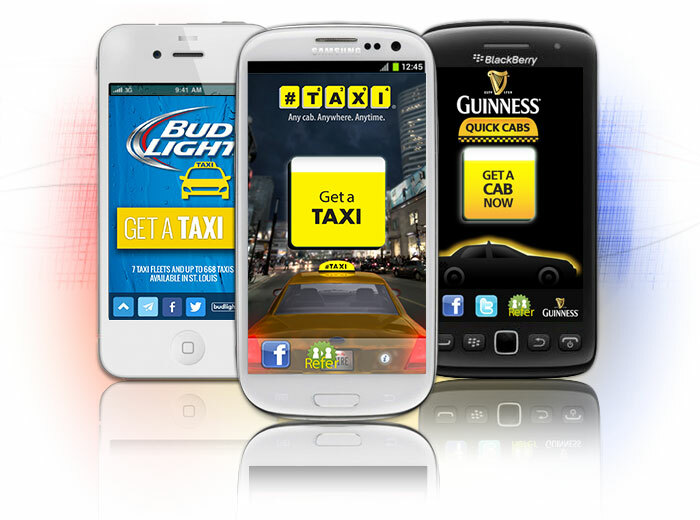 We have our own, and we have, over the years, created mobile apps for our partners within the industry, such as Bud Light, Guinness, Captain Morgan and Jose Cuervo. The benefit of these mobile apps is that while they still tap into our industry-leading taxi database and rankings, they use the GPS coordinates on Smartphones to fast-track calls past our IVR and immediately connect to the appropriate taxicab company. Plus, they are sponsored calls, so the app is free to download and free to use.